Wapato Public Schools has learned about a confirmed case of chickenpox at Wapato Middle School. A letter is being sent home today (1/30/19) with all students in the District. The contents of that letter are included below. This is to inform you that Wapato Public Schools learned today of a confirmed case of chickenpox at Wapato Middle School. That student is not in school at this time and will remain out of school until cleared by a licensed medical provider. 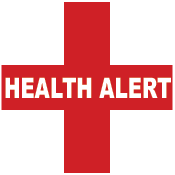 Wapato Public Schools is in contact with the Yakima County Health Department regarding this single case and has notified the families of any Wapato Middle School student who does not have a record of chickenpox immunizations. As a precaution those Middle School students who do not have a record of chickenpox immunizations will also be kept out of school and will remain out until cleared. Chickenpox is a highly communicable disease transmitted by coughing and by direct person-to-person contact. Chickenpox is dangerous for infants, pregnant women and anyone with a compromised immune system. These people may want to consult with their doctor. Children who develop chickenpox will need to stay home from school and public gatherings until the lesions have crusted or dried with no further drainage—typically 5 days after the rash appears. Symptoms include sudden onset of a fever and feeling tired, followed by a blister-like rash that may itch. A person can transmit chickenpox and is considered contagious from 2 days before the rash appears to 5 days after the rash appears, or until all blisters have crusted over. Once a person is exposed, illness typically appears 14–16 days later, but can appear as few as 10 and as many as 21 days after exposure. Aspirin should NEVER be used to treat the symptoms of chickenpox. Vaccination is a way to prevent chickenpox. The vaccine is available through many healthcare providers. If you have any questions or concerns, do not hesitate to contact your student’s school or your own healthcare provider.